Harnidh Kaur's captivating expression of the scarring misogyny and sexual violence that is encountered by Indian women everywhere, every day. 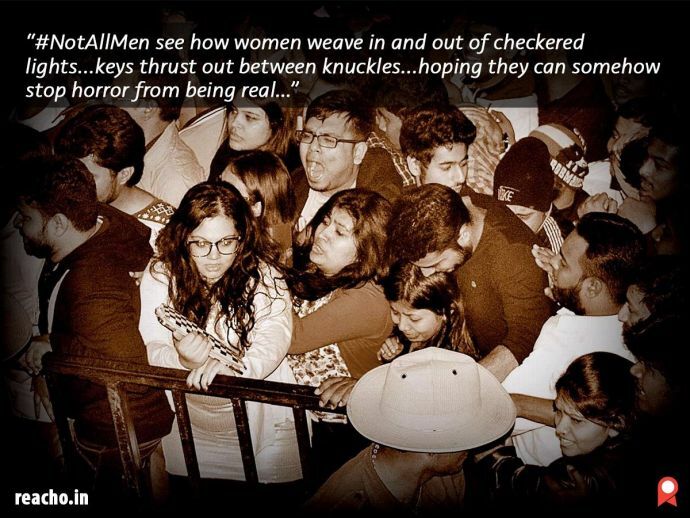 Hours after news of women being mass-molested in Bengaluru on New Year’s Eve spread, the hashtag #NotAllMen surfaced on social media. It was enraging to know that the instinctive response of so many men on Twitter and Facebook to the tragedy, was to defend themselves against having molested any woman, ever. Harnidh Kaur, who voices her feelings about pressing issues of the day with her poetry, used the unfortunate hashtag, redefining it to express the reality for all women, every day. 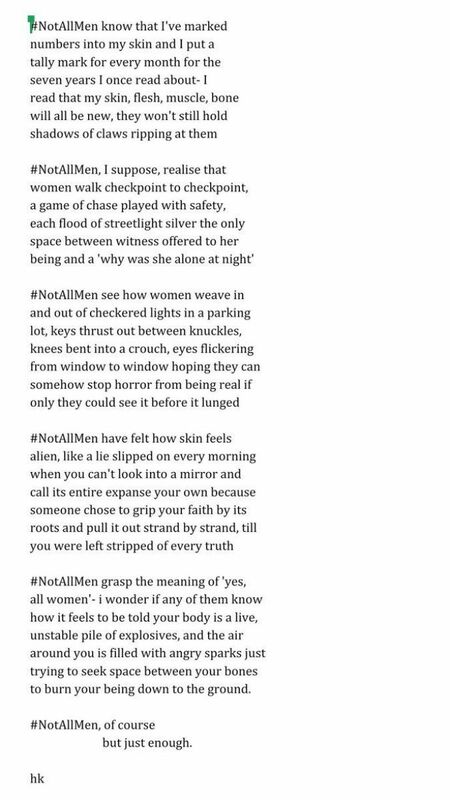 With the recent incident exposing the latent misogyny that belongs only to the Middle Ages, a poem with such striking imagery is just what is needed to counter this disturbing practice of being apologetic, instead of taking cognizance of the issue at hand. Image reproduced from Harnidh Kaur’s Twitter account.